Product Description: Blaze 24-Inch 5.2 Cu. Ft. 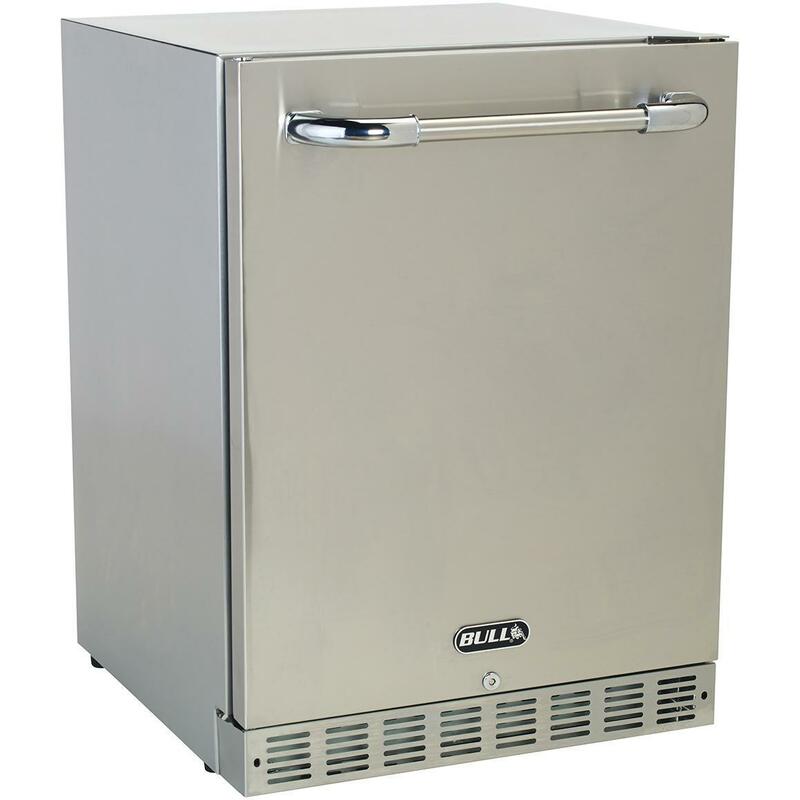 Outdoor Rated Compact Refrigerator - BLZ-SSRF-5.0DH. 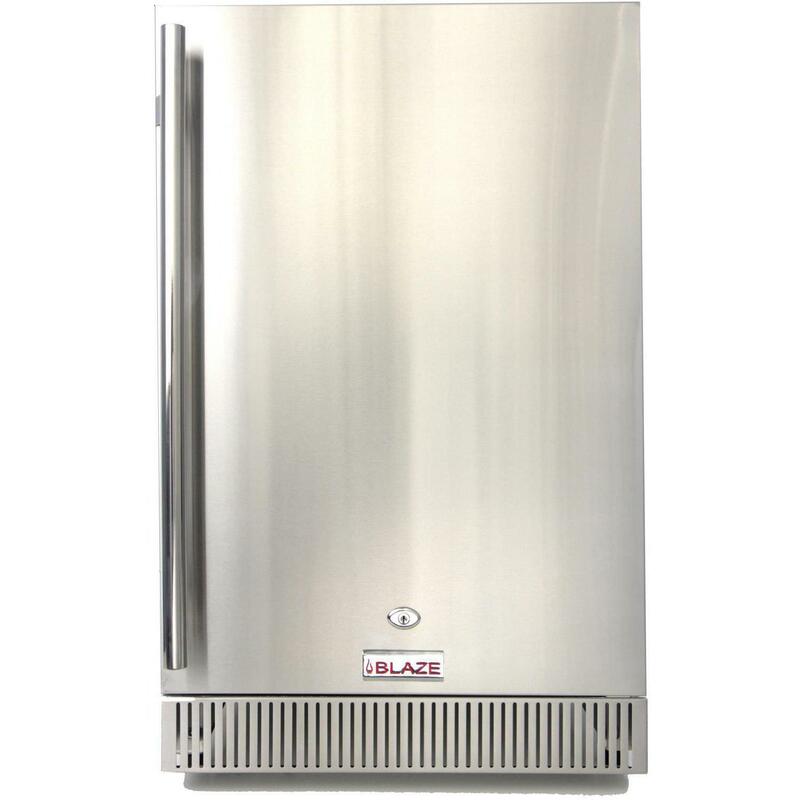 This Blaze outdoor compact refrigerator features fan forced cooling to ensure the unit is evenly cooled from top to bottom while front venting allows the refrigerator to be fully built-in into your outdoor kitchen. With 5. 2 cubic feet of storage space and four adjustable wire shelves, your 24-inch wide Blaze compact refrigerator will be able to keep all your drinks and condiments cool. The digital temperature controls and display allow you to precisely adjust and monitor the internal temperature. Recessed LED lights with a convenient on/off switch on the control panel offers a cool blue lighting option, and the automatic defrost reduces maintenance. The durable construction, sealed back and UL rating makes this unit ideal for use outdoors. The refrigerator has a stainless steel cabinet, reversible stainless steel door and full-length, professional handle for a sleek and stylish finish. 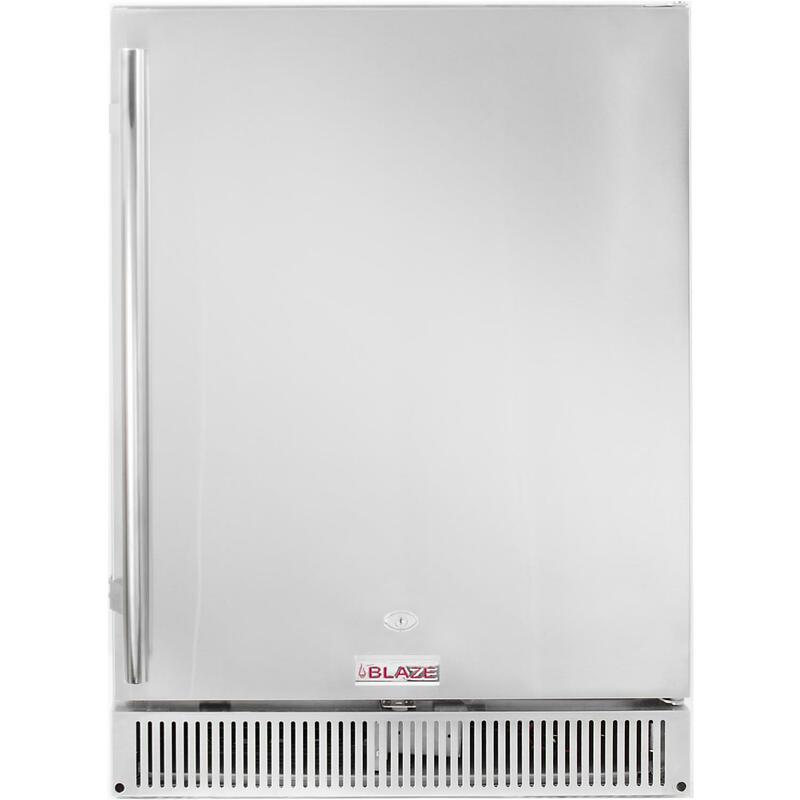 Adjustable leveling legs are included to ensure your Blaze refrigerator sits evenly on any patio surface while a door lock provides security. Requires 115 volts and 15 Amps. Cut Out Dimensions: 34 1/2 H X 24 1/2 W.